Our Annual Guru Rinpoche Accumulation practice is held at the request of H.E. Garchen Rinpoche and Drubwang Konchog Norbu Rinpoche. 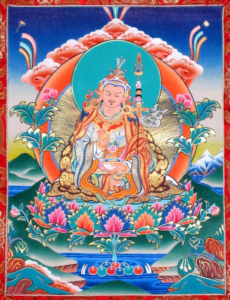 The profound practice of Guru Rinpoche can transform and purify afflictive emotions, thus removing outer, inner and secret obstacles. The ultimate result will be the two-fold attainment of ordinary and supreme siddhis. This weekend retreat will be led by Ven. Khenpo Tenzin. Tuition includes two meals per day: lunch and dinner on 4/13, as well as breakfast and lunch on the 4/14.